Start with a pre-designed template to create your own custom Western belt buckle. After you’ve chosen the perfect template, choose from several different design, symbol, color, metal, engraving and gemstone options to truly make the cowboy accessory your own. These personalized buckles make excellent customizable gifts and can also be used as awards or trophies for rodeo competitions. Montana Silversmiths makes the ordering process quick and easy. Simply fill out an online form and wait for your new buckle to arrive. The pricing on your new belt buckle is all-inclusive. The finished product will be delivered in 4 to 6 weeks from the order date. 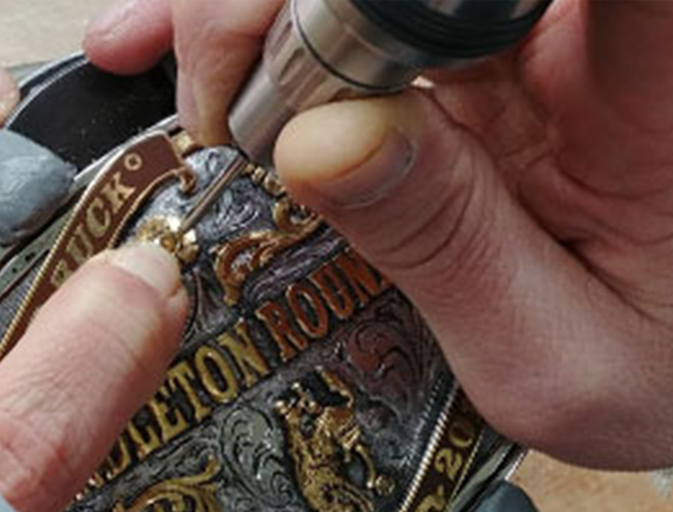 Each custom cowboy belt buckle is made to order in Columbus, Montana. Build your own buckles include a wide variety of different options. Choose from hundreds of different figures. Engrave your name, nickname or any other message of your choice. Choose from several paint color, jewel, lettering and date options. You have the option to add a custom-cut brand or logo to the buckle. To build your custom buckle, click on the link below to fill out the online form. If you’d prefer to order over the phone or by email, you can contact customer service at 855-358-5002 or websales@montanasilversmiths.com. Create your own personalized cowboy belt buckle from scratch by designing your own buckle with Montana Silversmiths. These personalized buckles can be used as trophies or awards and also make excellent gifts for the cowboy in your life. Combine your inspiration with our expertise to create a custom piece that is sure to be treasured for years to come. We offer competitive and association pricing to qualifying customers. Completely custom artwork is created for each personalized belt buckle. Your new buckle will be delivered about 8 weeks from the order date. Choose from a wide selection of customizable options for each order. Each piece is designed completely from scratch based on your ideas. Value-added options, such as precious metals and gemstones are available when you place your order. Each Design Your Own order begins with an easy online form. Click the link below to fill out the form. In 5 to 7 business days, your own personal Design Your Own Specialist will contact you with the first sketch of your belt buckle design. 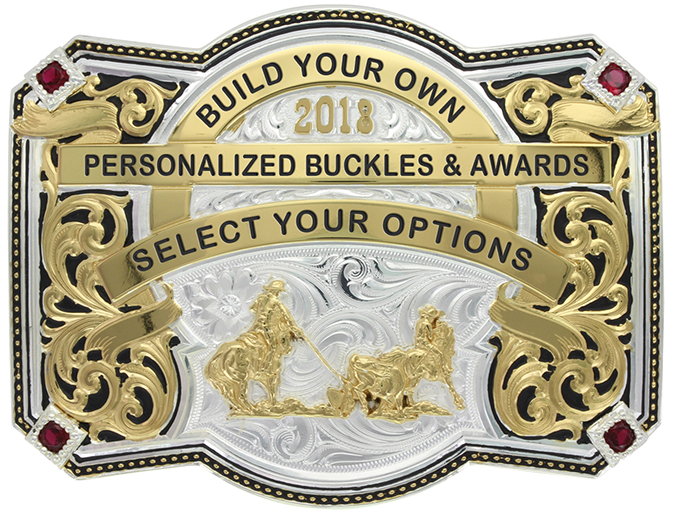 If you need inspiration before filling out the form, be sure to view our Custom Buckles and Awards flipbook to see previous orders.